I receive so many messages on a daily basis from people wanting to start managing their money and living frugally, but they don’t know how to take that first step. I admire everyone who wants to improve on their life and financial situation, it can be scary trying to make such a big change into the unknown. I decided it was time for a FAQ article for all you brave beginners. 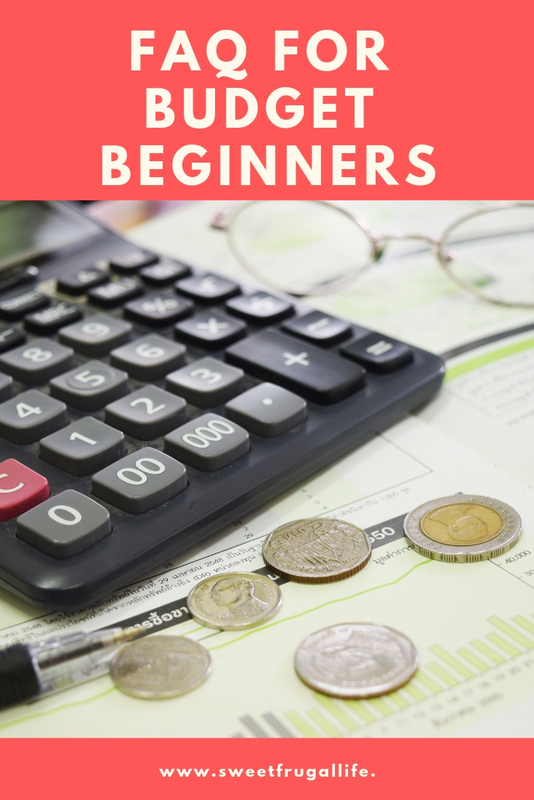 I asked my followers on instagram for all their budget beginner questions and today I will be answering a few of those. 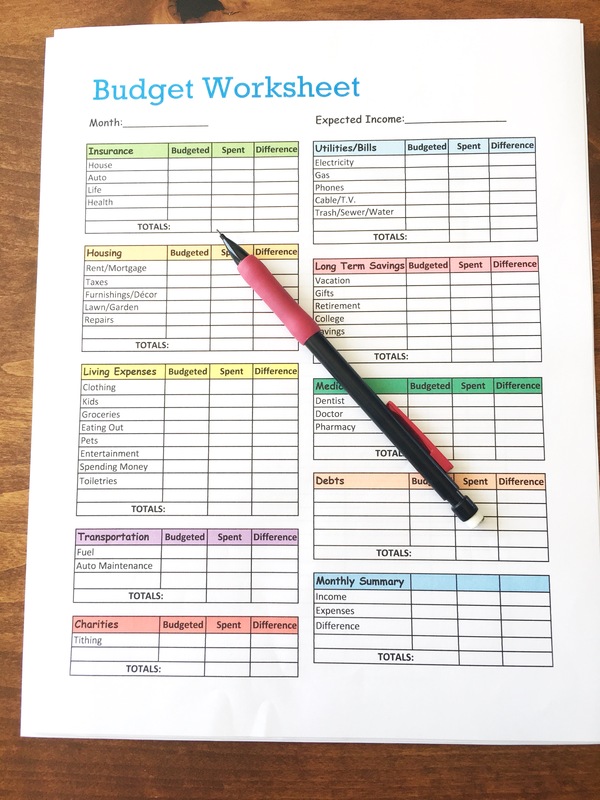 A great place to start for a beginner is with my Free 14 Day Frugal Living Challenge. This is a challenge made specifically for those just starting to manage money and live frugally. This will give you a good starting place and should help you develop frugal habits. The best place to begin is your budget. It is vital you have a working budget. If you are new to budgeting, it might take you a while to figure out just how much money to budget for each category. This is normal! A budget is fluid, meaning it is always changing. The budget below is one that I made as a free printable. It has many of the categories I use in my personal budget and is also easy to customize and add your own. 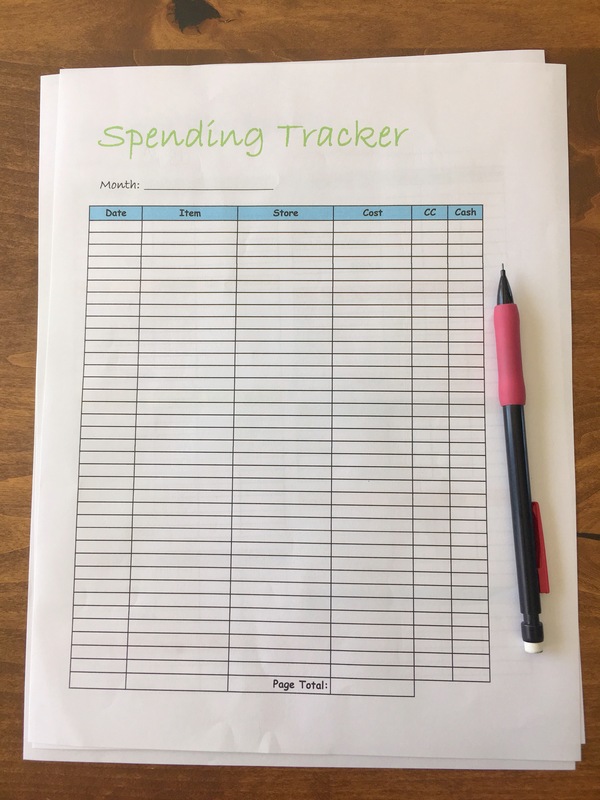 This (along with the spending tracker below) is available for free in my 14 Day Frugal Living Challenge. You will also need to begin tracking all of your expenses. This helps you keep your budget accurate, and gives you a great window into your spending habits. By tracking your spending habits, you will be able to see what areas you are over spending in and areas you could cut back. A great resource, and the book that completely changed my financial views, is Dave Ramseys book, The Total Money Makeover. Check it out from your library, borrow it from a friend, or order it from Amazon. No matter how you get it, I HIGHLY recommend everyone read it. Dave Ramsey uses easy to understand terms as explains exactly how to fix your financial situation. What is the best way to keep track of day to day spending? There are a few different ways of doing this. It doesn’t quite matter HOW, it just matters that you do it and that you stay consistent. For years we used an excel spreadsheet that my husband made. It took quite a bit of work for him to put it together, but it worked out really well. About 7 years ago we discovered You Need a Budget. It is so user friendly and very affordable. You can download the app onto your phone and update it as you spend. This is not sponsored in any way, we REALLY do love it! A similar program is Every Dollar, I have never tried it, but have heard lots of good things. There is also the good ol’ standard paper and pen method. I’ve never tried this method, but I do know other people who enjoy it! When tracking spending it is important to stay consistent. Pick a day of the week, schedule a time, and develop a routine for tracking your spending. We do it every Monday evening. We save all of our receipts and go through each item one by one and write it down. It is not necessary to write EVERYTHING down, for example: when buying groceries, just write groceries and the amount. There is no need to write down bread and bananas, etc. You could track your spending daily on your phone, or weekly like we do. Try a few different things until you find a good fit for you. How do you start the envelope system? Using cash envelopes is a great way to limit your spending. I have an article written all about how to get started and the benefits you’ll gain. You can check it out at The Envelope Money System: A Beginners Guide. How do you make a grocery budget? My grocery budget has been all over the place. When I first started budgeting, I set the grocery budget FAR to low. I kept going way over the budgeted amount and couldn’t figure out how to cut the costs down. I finally decided that I needed to budget more money for our weekly groceries. I tell this story to give you encouragement that all budgets, but especially grocery budgets, are trial and error. It might (and probably will) take you a few months before you have the best budget for you. While you are tracking your spending you should be able to see how much you are normally spending on groceries. This gives you a good ballpark figure to begin with. If you feel it is unnecessary spending, you can try to slowly bring the budget down week by week until you get it to a place you feel comfortable with. How do you minimize grocery costs? Groceries are one of the biggest expenses for most budgets. This is one of my personal struggles. The number one way I have found to keep those costs low is to meal plan. Plan out every meal you want to eat for the week. As you meal plan, write out your grocery list, and stick to this list while you shop. I’ve found using Walmart Grocery Pickup has helped me to stick to my list, AND my budget. A few other ways to lower grocery costs are to cook from scratch (avoid convenience foods), shop sales, and use the cashback apps regularly. What are the easiest apps for frugal beginners? I love cashback apps! Long gone are the days when you have to sift through ads and cut out coupons, now all you need is a receipt and an app on your phone! I actually love these apps so much I already have an article written about all my favorites. You can find it here: My Favorite Cashback Apps. What should my budget look like? What is normal for our family? No two budgets will look the same. My normal will be different than your normal. What I spend on groceries, will be different then what you will spend on groceries, etc. This is one of my favorite parts of a budget. You can customize it and find something that works for you personally! I prefer a zero based budget. Start with the amount of money you expect to make for the pay period. Then, using your budget, find a spot for every single one of those dollars. Keep budgeting until you have “spent” on paper every dollar of your paycheck. This WILL take some adjustments and some TIME. Focus more on giving every dollar a place in your budget, and less about how it compares to other budgets. Again, I recommend Dave Ramseys, Total Money Makeover book. He gives good advice about how much your percentage you should be spending in each category. Coming Soon: I am currently working on an article to share my personal percentages in each category. Hopefully this can help you get an idea of where to start. What can you do when you cut back, budget and still don’t have enough? I loved this question; because it is such relatable and real situation for many of us. My first piece of advice is to keep your head up! You are NOT alone! There are so many dealing with similar struggles. I strongly believe that together, we CAN help each other reach our financial goals. Reach out to facebook groups and instagram accounts that discuss this issue. Surrounding yourself with others in this situation should give you the strength, support and ideas to help get you through it. Sell items in your home (see 10 Items In Your House You Can Sell Quickly To Make Money and 5 Places Online To Sell Your Clutter and Earn Cash). Start a side hustle. Is their a side job you could take on to earn some extra money? Google side hustles ideas and you should be able to find a good variety of ideas. Look through that budget one more time, what else could you sacrifice? Could you cancel your tv subscription, quit eating out, lower your phone data plan, cut out all entertainment, etc. None of these things are FUN, but they might be necessary in this situation. Here is an article where I share What we cut from our budget to save over $2500 a year. Could you ask for a raise? Would it be beneficial to make a job change? What could you downgrade? Perhaps trade in your car for a cheaper model or move into a more affordable home? I understand it is NOT easy when the money just ISN’T there. ESPECIALLY when you feel as if you have sacrificed again, and again and again. I get it. I have been there! Keep your head up. Keep trying. Be “gazelle intense.” I believe in you! 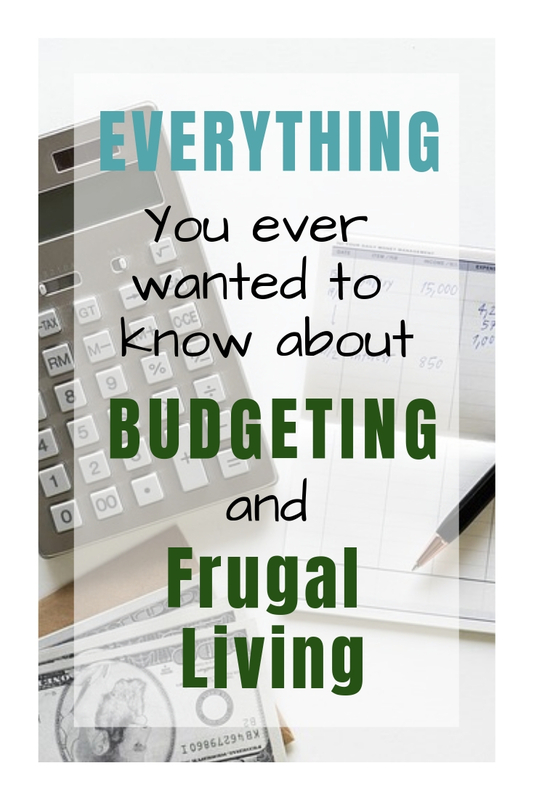 I hope these questions and answers helped you in some way as you begin the exciting, yet sometimes difficult world of budgeting. It’s never easy to develop new habits and start fresh. Most things in life that are hard, and the ones worth doing. I can guarantee keeping track of your finances are one of those things.